Piet Delport is a professor of Mercantile Law and holds several degrees. 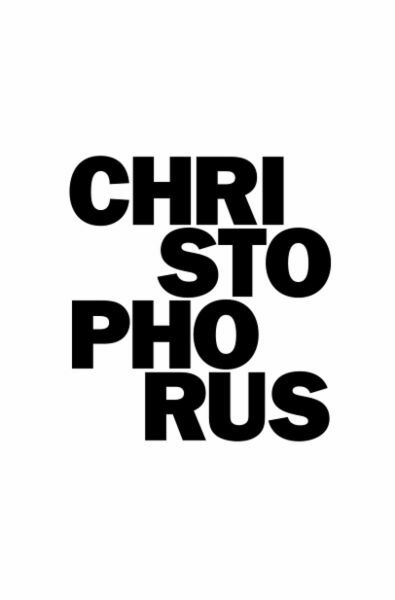 He is the personification of high-order academia, author of various biblically proportioned books and journals and a practising advertising law consultant. Yet there’s nothing academic about his three-decade-long affair with Porsche, having owned thirty-one Porsches in the last thirty-five years. The son of a school teacher, there was no natural inclination in the family toward any engineering or mechanical skills but for some reason, his father foresaw an underlying passion in his son, encouraging Piet to keep a watchful eye on the family cars when they were being serviced. 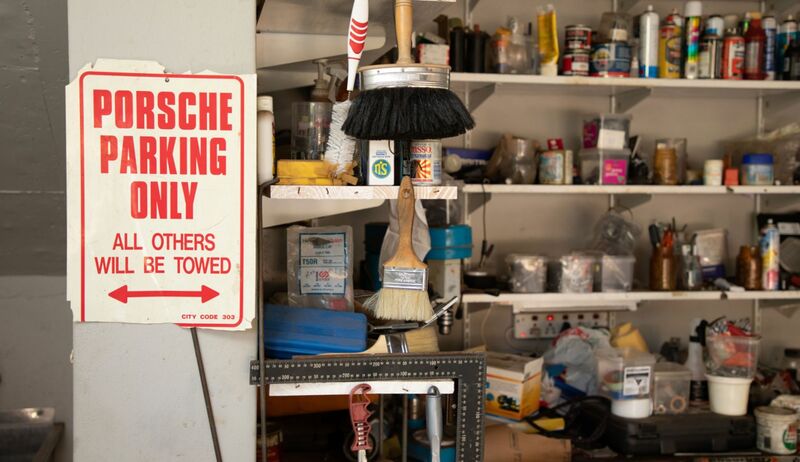 His father’s persistence to push Piet into tinkering with the family’s cars and later tractors would lead to a life of countless hours of happiness spent underneath Porsches, delving into the innards of a car that has shaped the latter half of his life. In 1983, Piet’s first foray into Porsche ownership came in the form of a left-hand-drive Porsche 924 Auto that arrived with its fair share of niggles. The aircon, as he recalls, so boldly advertised as an USP of the car would sap all the power when in use. He has kept the original newspaper clipping of the advert that caught his attention for this car; sullied and stained with age, it’s a glimpse into how special that moment was. 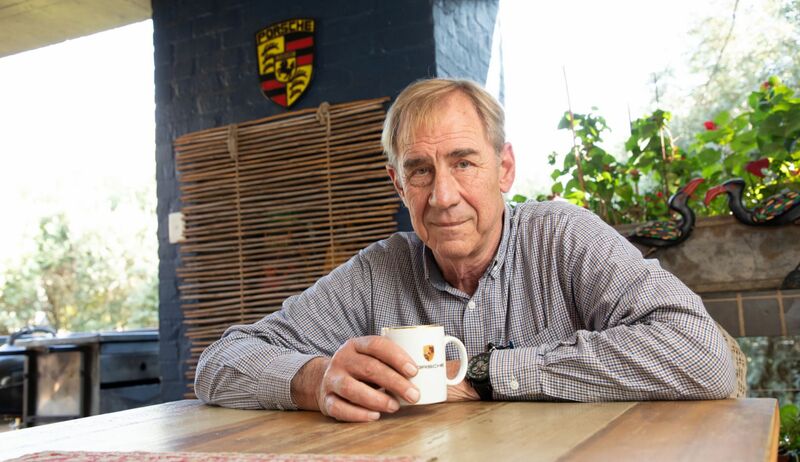 “Despite the car’s niggles, I loved this car to bits.” Just a few months into his ownership and whilst on a long trip to Oudtshoorn, Piet collided with a truck and his 924 was written off. For the car he had bought for R18,000 he was paid out a handsome R30,000 from his insurance. He immediately replaced the 924 with another one, this time silver in colour with less mileage, more power, and a Porsche silk tie for good measure. 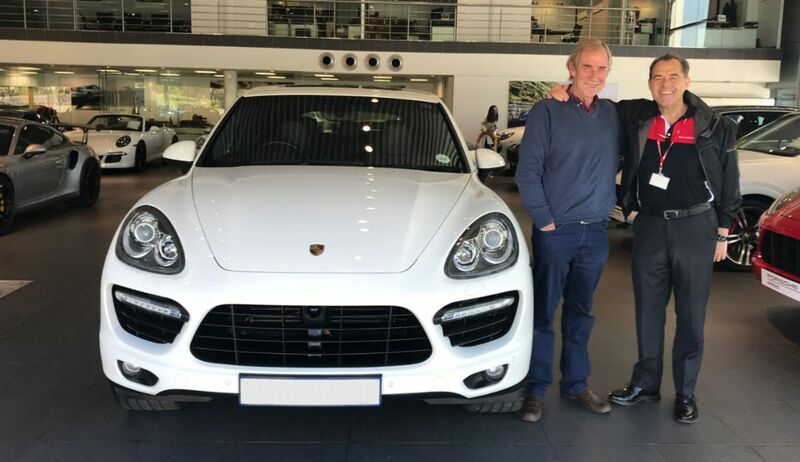 And so began a longstanding relationship with Porsche, Professor Delport has bought and sold pre-loved cars almost every year since 1983. The catalogue of cars that have come and gone reads like a Zuffenhausen time machine, as series after series found their way into Professor Delport’s garage: front-engined cars from yesteryear like the 924, 924S, 924 Turbo, and the 944. Then a tally of 911s in various guises including 911 Targa SCs, Carreras, and Turbos. The 964s, 993s, 996s, and 997s all played their part in defining the professor’s passion and uncurbed refusal to buy anything else. This hands-on relationship with his cars isn’t just about reviving broken cars, it goes deeper than that. Throughout the eighties and nineties, the professor would order service kits for his cars from the UK and service them himself, an exercise in getting to know his cars on a deeper level. The fanaticism uncovers old tales of befriending Porsche mechanics just to get a better knowledge of his cars. In a sense, the professor could just be that. He has convinced many of his friends and family to switch to Porsche. 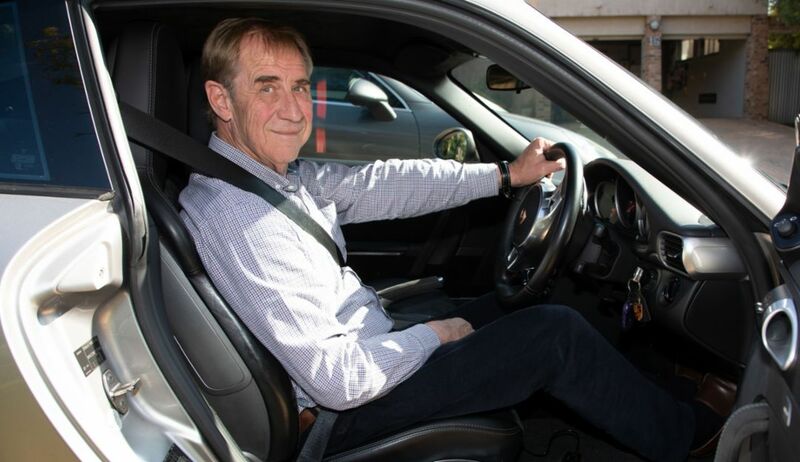 More so, during his visits to Porsche Centres, he has even managed to convince would-be window shoppers to drive off in 911s, such is the power of his knowledge and love of Porsche. Today, the sixty-two-year-old professor owns a second-generation Porsche Cayenne S, another second-generation Porsche Cayenne Turbo, and a 997 Porsche Carrera GTS. For a man who has witnessed and experienced Porsche’s growth over three decades, he is adamant that Porsche remains what it always has been: a sports car.